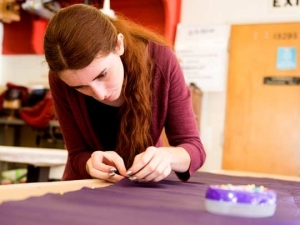 This course is an introduction to basic theatrical costuming. This course is designed to teach the student about costume design, costume history, costume construction, mask making, fabric modification and the working of a wardrobe crew as it applies to the entertainment industry. This course will culminate in a final project that reflects the student’s creativity. 36 hours lecture and 54 hours lab per term.